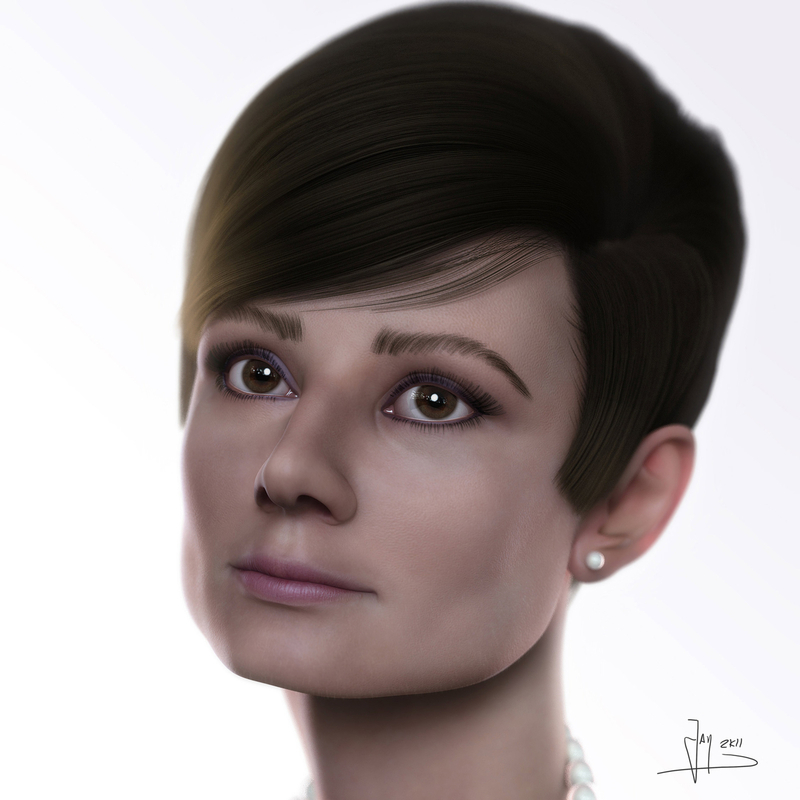 My tribute to Audrey Hepburn in that old kind of film star portrait style. I found it quite hard to find good skin texture images of her as she just looks flawless in every image! So I have tried to emulate that look -enjoy the image.